Use our service to provide practical recycling information for your products and meet the needs of your customers. You can also reward their recycling actions and increase its use and make it more attractive. 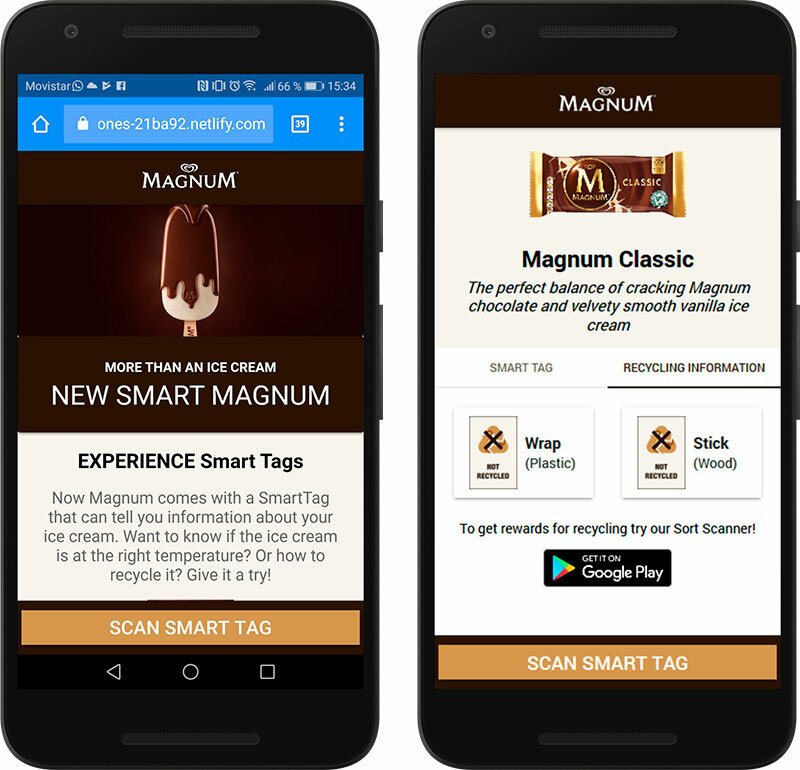 Through your own application, or our white label application (mobile or web), you can provide a useful service to easily engage with your consumers and improve your public image. We use Blockchain and IoT technologies to obtain reliable and valuable information in real time and with profiles to know in detail the behavior of the consumer, thus increasing your business intelligence. Thanks to our extensive experience in the environmental field, we know that consumers demand tools to recycle easier, simpler and obtain incentives to do so. All our service has been designed and implemented with the intention to meet the needs of consumers, but also to use that need to help brands improve and increase their revenue. 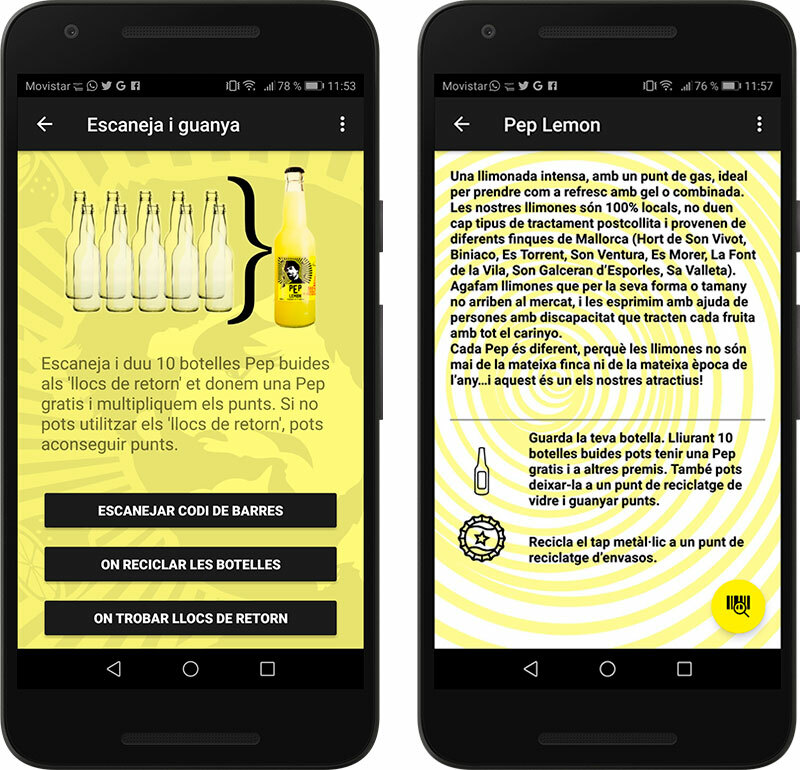 Recycling information service on 40K consumer packaged goods (CPG) references and a rewarding scheme based on Carrefour discounts and donations for environmental campaigns. 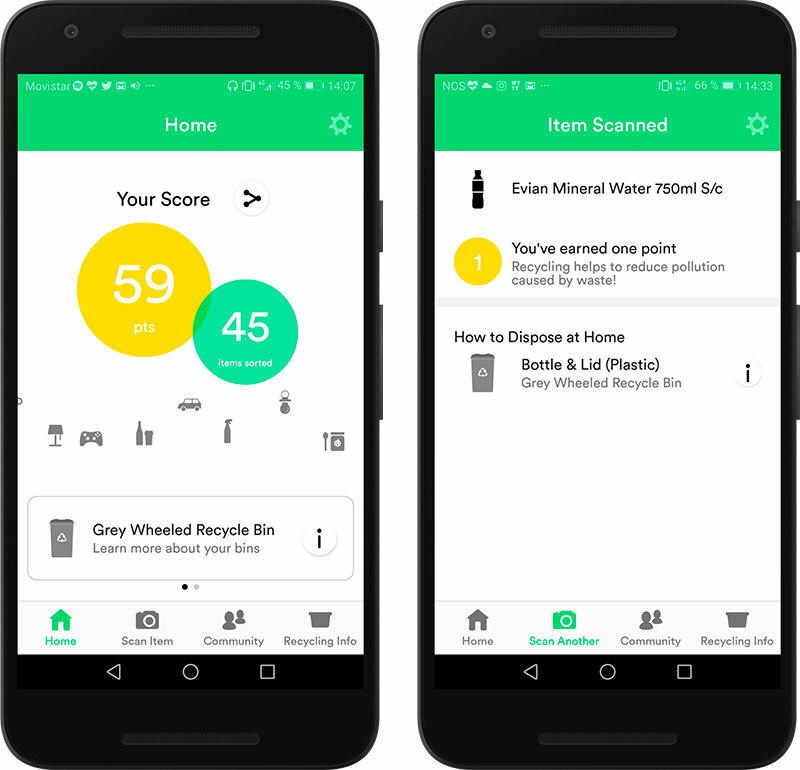 Service provided for a hybrid App that uses product barcodes and unique QR (IoT) codes for recycling bins. In collaboration with Ajuntament de Palma de Mallorca, Ayuntamiento de Logroño, Calidad Pascual, Central Lechera Asturiana, Dondelotiro, Ecoembes, EMAYA, EVRYTHNG, Henkel, Mahou San Miguel, PepsiCo, Procter & Gamble, Thinfilm, Unilever, and VTT. Recycling information service on 400K CPG references and a rewarding scheme based on social recognition and food donations. Service provided for a native Android App that uses product barcodes. In collaboration with EVRYTHNG, Merseyside Recycling and Waste Authority, SharpEnd, Valpak, Wirral City Council and WRAP. Recycling information service on 4 ice cream references and no rewarding scheme. Service provided for a web App that uses unique QR codes (IoT) with functional inks. In collaboration with EVRYTHNG and VTT. Recycling information service on 6 soft drinks references and a rewarding scheme based on discounts for future purchases. 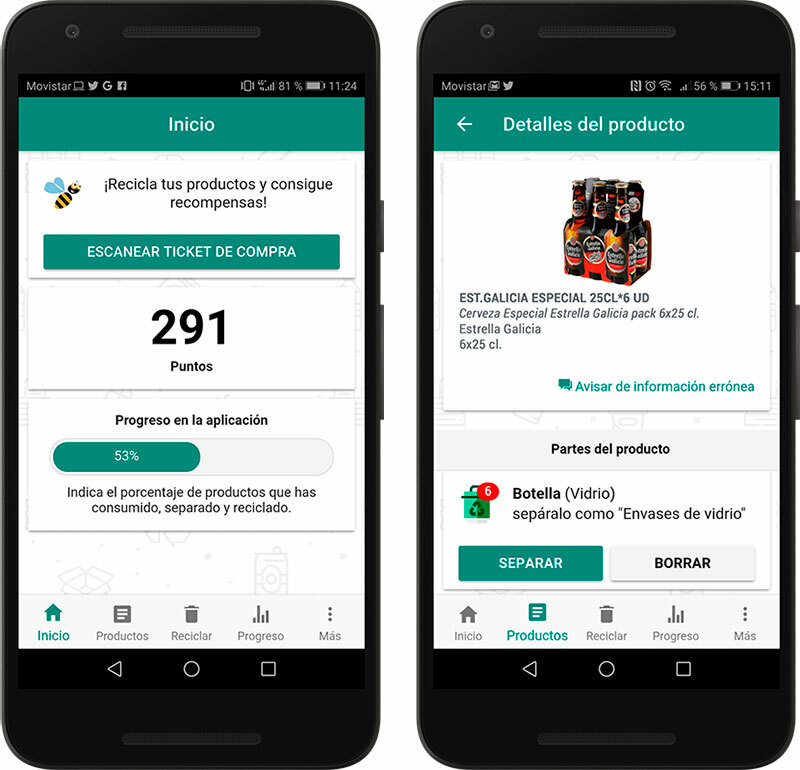 Service provided for a native Android App that uses product barcodes and unique QR (IoT) codes for vendors.